The D.C. Council unanimously approved several measures Tuesday clearing the way for a helipad to be constructed on the roof of the GW Hospital. The D.C. Council passed multiple measures Tuesday clearing the path for a helipad to be constructed atop GW Hospital. In unanimous votes, council members passed two versions of a bill reversing a 1987 law barring construction of helipads in residential areas. The first version permanently amends the old law, while the second – an emergency measure – allows helipad construction to begin as soon as Mayor Muriel Bowser signs the legislation. The bills pave the way for a helipad to be built on the roof of the south side of the hospital above the Foggy Bottom Metro exit. Proponents of the project said the helipad could allow patients to reach the hospital – one of two top-ranked trauma centers in the District – more quickly than if they were transported by an ambulance. 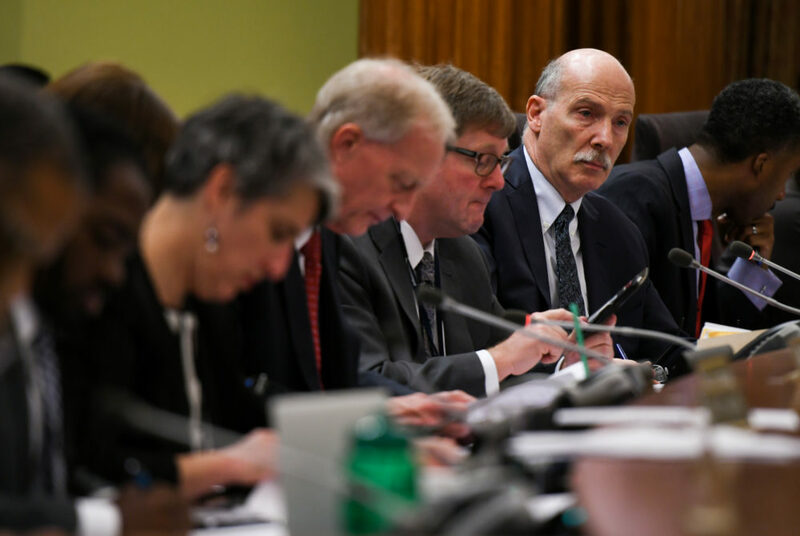 The Foggy Bottom and West End Advisory Neighborhood Commission – a neighborhood governing group – initially approved the project in October, and the permanent bill was introduced to the council the next month. The bills state that after a helicopter takes 175 flights, the mayor can then conduct an analysis of the helipad’s impact and impose restrictions, like the times of flights, after seeking community feedback. Some community members opposed the helipad, arguing that the addition would increase noise levels in the neighborhood. A study later found that medical helicopter noise would clock in at about the same level as other noise producers, like ambulances, in the area. Student leaders also vocalized support for the helipad, saying the need to save critically injured patients outweighs noise complaints. The emergency bill will allow construction “to commence as soon as possible,” since the permanent version of the bill will likely not become law until the fall, according to the resolution. The helipad must be fully constructed and ready for evaluation by the Federal Aviation Administration by June 13, 2019 to be given final approval from the body. The FAA has already given the hospital the initial approval to construct the helipad, the resolution states.